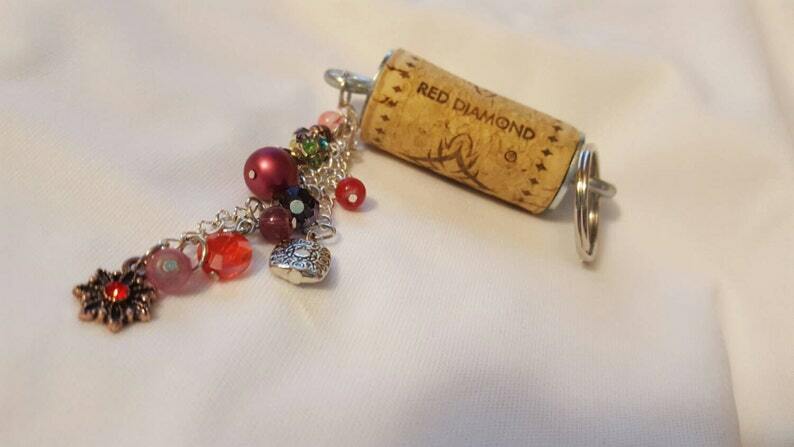 Beautiful crystals and baubles adorn these wine cork keychains! Each keychain is unique in that they have different corks and different design placements of the crystals. Great gift for the wine lover in your life, or as a gift to yourself! Items may not look exactly like the listing picture as I use different wine corks and don't do the same placements in the bottom. If you would like to order a custom keychain, please send me a message and ask me about it!